Summer season is a great time to spend an awesome escapade in a condo accommodation at Thousand Hills Golf Resort. All Branson condos have great features of top quality amenities and spacious bedrooms that can accommodate big group of guests. Spending an awesome vacation in the elegant Branson condo will let you feel a convenient, luxurious and comfortable stay in a rustic and secluded place that cannot be experienced in a regular hotel accommodation. This cozy condo accommodation at Thousand Hills gives you the opportunity to enjoy spectacular views of the surrounding natural sceneries. Thousand Hills in Branson is a perfect vacation destination during summer season because it features a refreshing and cool atmosphere in a tranquil environment. 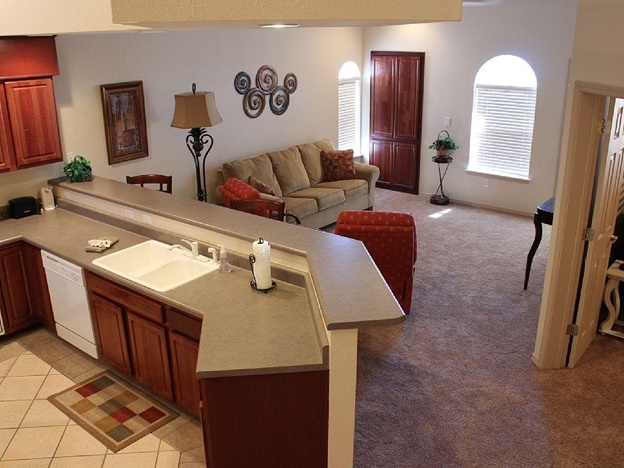 Located near the vicinity area of the golf course, Branson condos have nice features of a free wi-fi internet access, cable TV with HBO, and a DVD player. The fully equipped kitchen of every condo accommodation features modern appliances such as refrigerator, microwave oven, dishwasher, dishes, pots and pans, kitchen wares and utensils. While you are having a wonderful summer escapade at Thousand Hills, you can have some fun at the activity center where you can enjoy playing board games, arcade games, pool tables, and a bunch of DVDs to borrow. The great location of Thousand Hills in a secluded place allows you to enjoy a picturesque view of the beautifully landscaped golf course. Your summer escapade in this fascinating place gives you the chance to feast on the spectacular wildlife scenery of the Ozarks which are beautifully surrounded by majestic rolling hills and pristine lakes. Your fantastic summer vacation in Branson will not just give you an unforgettable experience but a truly wonderful one as you will certainly feel the mild weather of the season in a calm place. Most of the visitors spending an awesome summer escapade in Branson prefer to stay at Thousand Hills as it can accommodate big group of guests. Each condo unit of Thousand Hills features a separate living room, a king size bed, a fireplace, whirlpool tub, a two person rain shower, and a sofa sleeper which provides a comfortable stay for extra guest. The condo also offers additional amenities such as washer/dryer and washing supplies that you may need in case you opt to stay longer. As Branson is home to about 45 theaters where many of world class live entertainment shows are held, you might be interested to watch your favorite movie or enjoy live shows performed by world famous entertainers. Live entertainment shows, museums, exciting attractions, and movie shows that abound in Branson can help make your summer getaway an exciting one. While your condo accommodation is near the city limits of Branson, you can always have the chance to go shopping in many retail outlets and specialty shops. If your big family plans to spend an awesome summer escapade in Branson, stay in a spacious condo accommodation at Thousand Hills Golf Resort.